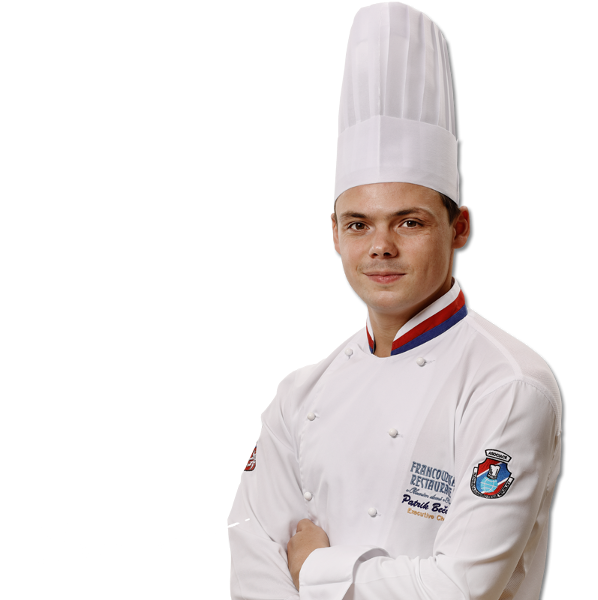 Summer Chef Menu was prepared by Patrik Bečvář, the chef of the French Art Nouveau restaurant in the Municipal House, which won the most prestigious culinary contest in Singapore this year with the national team of Czech chefs. 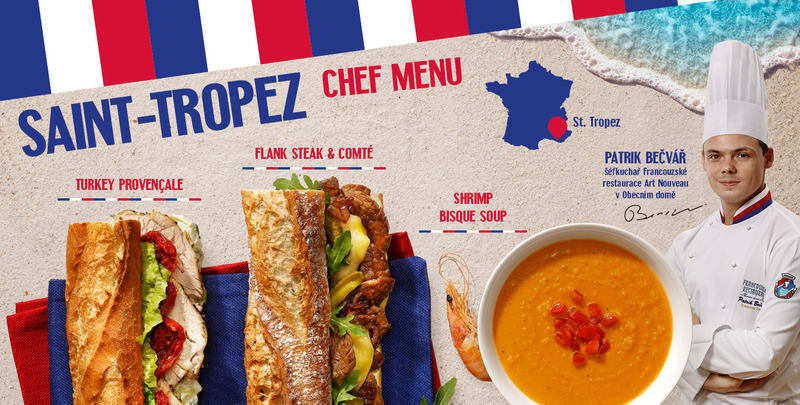 The Chef Menu from Saint-Tropez reminds you of a holiday by the sea and you can take a look under the lid of French chefs. 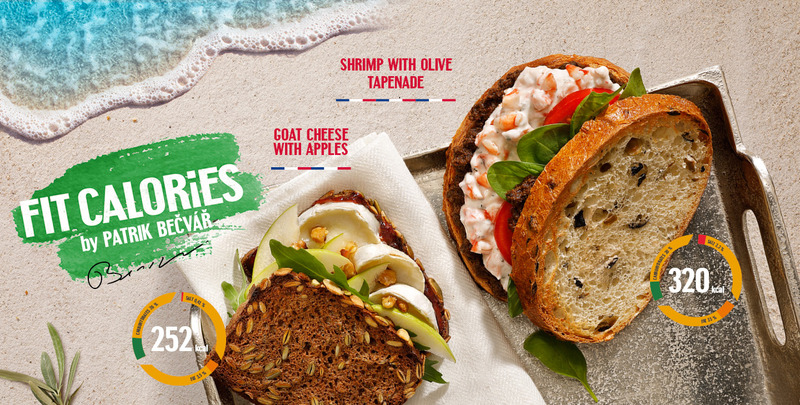 The baguettes are full of flavors and colors, with quality meat, shrimps, olives and herbs from the Mediterranean. Baguette of Provençale is dominated by turkey meat prepared by the sous-vide method, in vacuum. Unmistakable aroma adds Provencal spice with rosemary, thyme or basil. Everything fine with fresh cucumber dip, half-dried tomatoes and little gem salad. Flank steak & Comté is baguette full of beef, baked Comté cheese, rucola and caramelized onions. Dijon mayonnaise takes care of a spicy experience, the cornichon cucumber will fall in love with the first crunch. Shrimp Bisque hides delicious soup of shrimp and vegetables lightened with tomato concentrate. Chef Patrik Becvar recommends this cream for its freshness and rich flavor. The seaside season is in full swing and so comes to the taste of the Fit Calories menu. Try Goat's cheese with apples in pumpkin bread, where the cooked cheese gives a summer setting with honey, cranberry dressing and arugula. You will not resist this connection. Between the two slices of olive bread, the Chef Shrimps with olive tapenad. Shrimp cocktail, olive tapenade and dried tomatoes play colors and flavors along with baby spinach and fresh tomatoes.